Beijing is to take action to make its coal-fired power plants and heating facilities go green amid public concern over the city's poor air quality, said a government official. 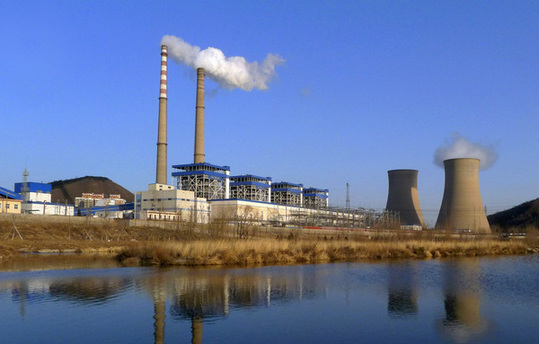 Zhang Gong, director of Beijing municipal development and reform commission, said that an estimated 80 billion yuan ($13 billion) will be invested to switch the city's coal-fired power plants and heating facilities to natural gas. "We want to make sure that power plants and heating facilities will be fueled by natural gas in the coming three to four years, reducing the use of coal as much as possible," Zhang said on the sidelines of the annual session of the National People's Congress. Zhang said the move is set to improve Beijing's air quality and ease public concern over PM2.5, particulate matter smaller than 2.5 micrometers in diameter, which can be hazardous after reaching a certain concentration. Emissions from coal-fired power plants and heating facilities, as well as from the 5 million cars running in Beijing, are a major source of PM2.5 in the capital, according to research conducted by the municipal government. Coal consumption in Beijing was around 26.3 million tons in 2011, with coal-fired heating and power plants accounting for 73 percent. The remainder was for industrial use, Zhang said. "So reducing the use of coal is our priority to cut the concentration of PM2.5 in the city," he said, adding Beijing will use more green energy in the near future. PM2.5 has been put higher up the government agenda amid growing concern over poor air quality in China's big cities. According to a statement by the State Council at the end of February, the four municipalities - Beijing, Shanghai, Tianjin and Chongqing - and 27 provincial capitals, as well as three key regions - the Yangtze and Pearl river deltas and the Beijing-Tianjin-Hebei region - will monitor PM2.5 this year. More than 100 smaller cities will adopt the new air quality standards in 2013. The statement said the standards will be extended to all cities by 2015. Beijing has been releasing the data on the concentration of PM2.5 to the public since January. Replacing coal-fired plants with natural gas-fueled ones will make significant contribution toward improving air quality, said Ma Jun, director of the Institute of Public and Environmental Affairs, a Beijing-based non-governmental organization. "However, it may take longer than expected," Ma said. He said Beijing is actually a relatively small consumer of coal compared with its neighbors in Hebei province and Tianjin. "The hard work done by Beijing alone is not going to improve the overall air quality unless the neighboring cities also make an effort," he said. Zhang from the reform and development commission of Beijing said that the experience of Western countries shows that improving air quality is a long and complicated battle. "The government is no longer focusing solely on the economic growth of the city. We want to have sustainable development and create a livable city for the people," he said, adding that is the reason that the government has set an annual target of 8 percent GDP growth during the 12th Five-Year Plan period (2011-15) instead of the double-digit growth of previous years. Beijing is to take action to make its coal-fired power plants and heating facilities go green amid public concern over the city's poor air quality.